Projection mapping meets club feeling! Create awesome light animations and turn your party into a fancy eye-catcher. You don't want to host a house party that everyone's forgetting about as soon as they walk out of your door? Well, then we'd like to introduce "ClubROOM" for Apple iPad! With the help of the "ClubROOM" App, your party turns into an happening! Create your very own light show inside of your living room. 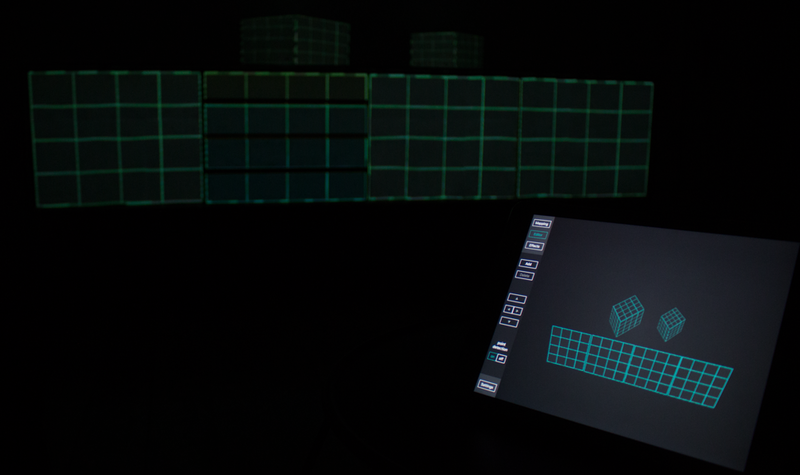 "ClubROOM" is an audio sensitive projection mapping App, which means that it listens to the music you play and reacts properly to match the beat of the music. And of course you have full control over effects, colorization and the shape of the glowing elements! Even if you have to host bigger events, our "ClubROOM" App suits your needs just perfectly. Since "ClubROOM" is designed to be adaptable to nearly any geometry a room possibly can have, it doesn't matter in which kind of environment you operate. Due to it's highly optimzed algorithims it is not only super efficient but also uncomparable in terms of reliability!